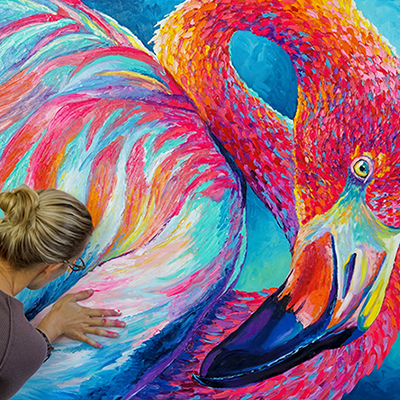 With the help of the incredibly talented contemporary wildlife artist Jen Starwalt, students will tap into their creative side and explore the beautiful marine creatures that live along our shores, swim across the seas, or dwell in the deepest depths of the ocean. 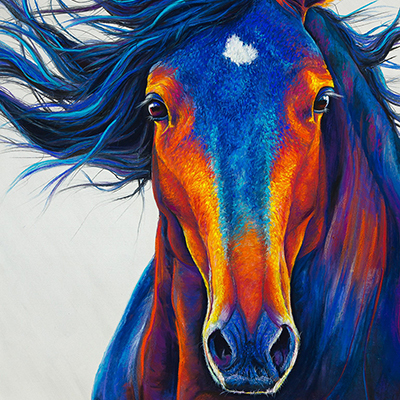 Using her immense skill as an artist and deep passion for wildlife, Jen Starwalt hopes to inspire those around her to reconnect with nature. This 8 week course will focus on exploring color and application as a way to create expression, personality, and evoke emotion in a painting. Assisted by a marine scientist, students will explore the structure and anatomy of marine creatures while using the methods and theories that Jen uses in her own paintings. Students will be using techniques as a way to explore sea life and conservation while learning how to see color creatively. At the end of this class, students will be armed with the skills and knowledge they need to become amazing artists and conservation activists! What to bring/wear: comfortable clothes you can paint in, water, snacks.